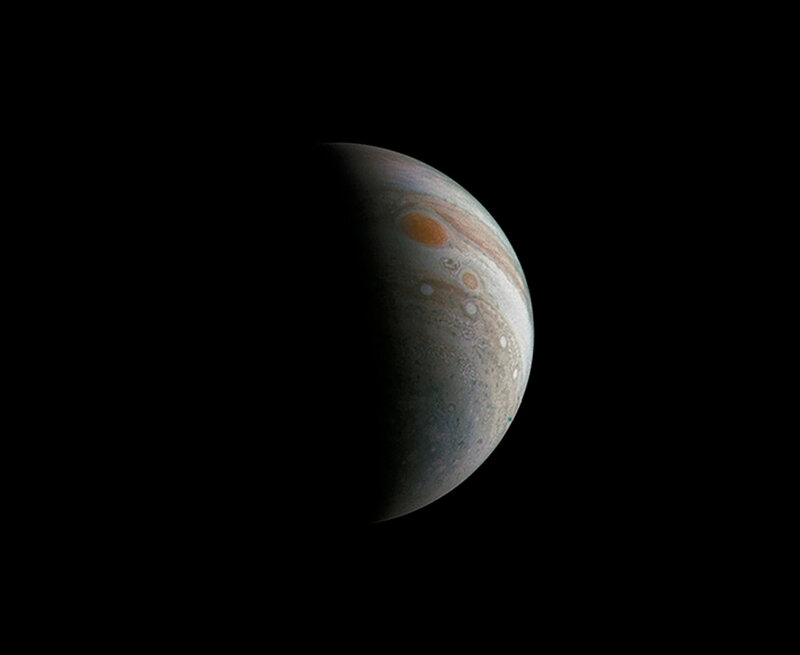 See photos of NASA's Juno spacecraft as it prepared for launch as the first solar-pwered spacecraft to the largest planet in the solar system. They should sort of integrate themselves with SpaceX somehow, honestly, at least contractually, where SpaceX architecture and development is somewhat built around the same goal: establishing a base on Mars. Then NASA can focus on development of scientific assets to bring with on those missions. It’s still exploration, and I’d still like it if NASA valued those things. I’m a huge SpaceXer too(Big surprise, I know) and it really is such an exciting time to be alive. Despite being in its most peaceful place in human history, a lot of the planet feels really depressing right now and what they are doing is something honestly keeps me going. To me, their journey to Mars is one of the most inspiring mega projects currently in progress. I understand timelines are always in flux, but they’re not really the point. It’s more about that we’re finally reaching for something more and to go above and beyond where we’re at. Speaking on the timelines, we are really closer than we’ve ever been before! Raptor is an engine with actual firing time! Prototype composite fuel tanks larger than necessary have been fabricated and tested. BFR is not a paper rocket. It has certain crucial bits of hardware built and that’s the most amazing apart. We may still be 10-20 years away from stepping on another planet, but this time,barring bankruptcy(their financial position & security is another topic), I really believe we are actually 10-20 years away and damnit I think that’s rad. The tech exists and we can do this. They didn’t recover the fairing… But it landed on water intact! Incredible. Another 6 mil in savings per launch. That’s a good little chunk. Every time you take off an equal sized chunk, you increase the percentage you’re gaining of the next reduction in savings. So, you know, if you save 70% on the booster, 6 million is suddenly a much larger percentage of your per launch cost. Sum over a bunch of rockets, and that ends up being a lot of money. Say they can save 4 additional million per launch. That’s 120-160 million over 30-40 launches, which is what SpaceX is aiming to level off at with the Falcon 9. Whatever the case, if the nose cone can be recovered, it’s actually a LOT of money that can go towards future launch vehicles over the life of the Falcon 9. I’d estimate it’s got another 100-300 launches, which is 400 million to 1.2 billion dollars from recovering the nose cone, and it’s looking like its doable. BFR will be the insane money making machine though. They’ll probably start out charging per launch about what the going rate is. They could probably charge 500 million fully loaded, so realistically they’ll keep their launch rates secret and charge by the payload mass because of supply and demand. So, they might actually profit by well over a hundred million on some launches. The going rate is going to allow for a hundred million per launch in profit even if they’re off by an order of magnitude. Nothing about the 50th Falcon 9? I didn’t know there had been THAT many. I felt like there had been more like 30 launches. Now looking back it makes sense. Nosecone recovery is also pretty badass. If they do 20-30 launches a year of Falcon 9 before the BFR gets off the ground, for say, 3-5 years, they could recoup a lot of money. The nosecone costs 6 million, they can probably save 3-5 by recovering it. So, they’ll save between $180 and $750 million with nosecone recovery. $180 million as kind of a conservative bare minimum savings over time is already worth it. A couple free Falcon Heavy launches, basically. I just can’t wait for BFR to get off the ground. Personally im looking forward to falcon heavy mass starlink deployment. Starlink is the thing most likely to make a big impact on everyday life the soonest, low latency low orbit global satnet would bring about some serious changes in the ISP landscape and would equalize internet connection quality globally. Internet while camping sounds pretty nice! I’m most excited for off planet stuff. 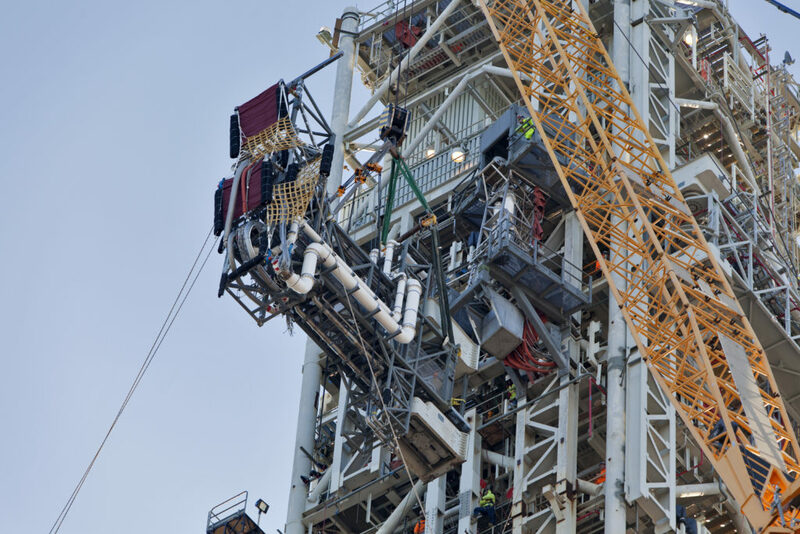 NASA’s monster rocket, the Space Launch System (SLS), took another tentative step towards lift-off yesterday as engineers fitted the last big umbilical arm to its launch tower. The arm was attached at the 240 feet (73m) level and will provide propellant, pneumatics and electrical connections to the Interim Cryogenic Propulsion Stage before swinging away at launch in a manner that will delight those nostalgic for the old Saturn V.
SLS is like a dinosaur that hasn’t flown yet. By the time it hits its 130,000 kg to LEO payload, SpaceX will likely be working on a rocket that is a lot bigger than BFR. In his original presentation about ITS, he said that they are planning rockets that are much larger than that. So, you could expect ITS*(3 to 5), which is BFR*(6 to 10). So, a rocket that has a payload of 1.5 million tons and a cargo space of 8200 cubic meters (imagine a cube with sidelengths of 66 feet). I think it’s very likely that it will happen. Every aspect of BFR has now been done in some shape or form. Supersonic retro-propulsion/propulsive landing has been done (Falcon 9, Falcon Heavy), highly resistant heat shields have been made (Dragon with PICA-X), gigantic rockets have been made before (Saturn V), reentry with a delta wing (Space Shuttle), and soon precision docking (Dragon 2). Once BFR is working, it wil be time to at least pause SLS. By the time it hits its 130,000 kg to LEO payload, SpaceX will likely be working on a rocket that is a lot bigger than BFR. SLS block A will likely fly within the next 4 years. I really doubt we will see multiple BFS and their first stage counterparts within 4 years. 1 full stack maybe(I would be pleasantly surprised), but far from obsoleting themselves that quickly. Their quirks and issues won’t even be ironed out 4 years from now. 4 year is even an extremely optimistic timeline for BFR to launch to Mars. Why build something bigger if you don’t even know it works. Personally I think 4 years from now we will have BFS testing contiuing with grasshopper style hops while production begins on the first first stage. Despite SpaceX blowing oldspace timelines out of the water, this is still aerospace. There is a lot that will go wrong, that will be overlooked, underdesigned, redesigned, etc. I know we all want this to be fast, but it’s still going to be some of the same grueling pace that aerospace takes. I agree with you that SLS is a waste of money, but assuming that SpaceX or anyone will go larger than BFR any time before 2030 is blinded by idealism in my opinion. As fast as SpaceX is this still takes time. BFR is a large vehicle and will have it’s initial rundown and bugs to crush before even it’s first hop. There will be many more by the time it flies to orbit and that first orbital launch is years away. You don’t design and make a spacecraft reliable only to ditch it and design a new one as soon as you’re somewhat confident it works. Only after it’s been flying for years(A la Falcon9) can you hope to start designing a new and better rocket using the lessons learned from what went right and what went wrong. Remember that the first flight of Falcon9 was in 2010 and has had 8 years of upgrades and revisions…with the majority of it’s flights in the last 2 years. Falcon 9 through all versions has 51 flights. 22 of them happened from the beginning of 2017 which is an impressive feat. 31 of them since 2018. It took 6 years and multiple failures to get falcon 9 launching at a high cadence for something we’ve understood since the 60s. Like you said, it’s all been done before but it still takes time to figure it out. It will take the same time or longer to fully work out the tweaks for the largest launch vehicle ever built including the special requirements such as tail landing from orbital velocity. Agreed, and that will probably be around the time of the first planned block 2 so we’ll see what happens. assuming that SpaceX or anyone will go larger than BFR any time before 2030 is blinded by idealism in my opinion. I actually really strongly disagree with this sentiment. I think it’s actually a logical prediction with a relatively high probability of happening given the circumstances. Elon Musk says he’s planning vehicles larger than the ITS, which is BFRx2. SpaceX operates on a margin where their profits just go straight into development. 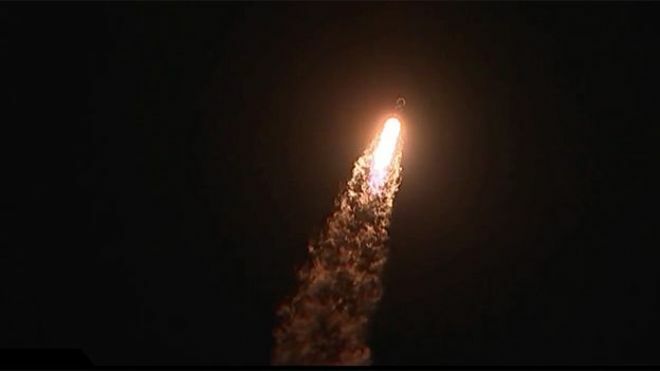 SpaceX takes a “path” approach to achievement. That is, they go from point A to point B to point C. Other ambitious people who’ve failed before attempt to go from point A to point Z, with no clear path to funding. A working BFR will justify further investment in a larger craft. A larger profit margin from BFR will make this next craft a much smoother build. Going from Falcon Heavy to BFR will likely be harder than BFR to BFR 2. I just see it as a natural progression of SpaceX’s breakneck pace. This is actually exactly what I meant when I said “SpaceX will likely be working on a rocket that is a lot bigger than BFR.” Once BFR is flying or hitting technical hurdles, they’ll probably announce that they’re designing a bigger rocket to accelerate colonization with little money put in that until BFR is finished and just in the refinement phase. I don’t think 2030 is super unrealistic, but I don’t see it as the next window to hit for them. Keep in mind that in the Musketeer thread, everyone told me it was near impossible for the falcon heavy to do its moon trip this year. While we know now that the heavy will never be certified for manned flight, I think we can all agree it would and been in the realm of possibility. I think it’s actually a logical prediction with a relatively high probability of happening given the circumstances. The glitch in the circumstances is that SpaceX has been building themselves up on verdant ground - satellite launches. That industry has been growing and expanding for decades, and Elon just walked into that environment and just did it cheaper, snapping up the available contracts. In contrast, BFR and any larger kin are stepping off into an economic unknown. Will mining be the way forward? Building structures such as solar power arrays or space hotels? Will colonies on the Moon or Mars have some kind of significant economic payback? There’s lots of speculation, but ultimately we just don’t know if that economic payback will arise. The economic unknown is the most likely factor to scuttle the whole effort. Without a healthy payback, BFR will be another Apollo; it’ll work, but it won’t be sustainable. Without a healthy payback, BFR will be another Apollo; it’ll work, but it won’t be sustainable. At 20 bucks a pound, payback will be very healthy. Even at 100 dollars a pound it will be, since SpaceX is already turning a profit thanks to partial reuse. At the ~7 million per launch they expect to reach. If the cost is only marginal over Falcon Heavy, than you can just forget about everything good about BFR being good. Assuming the BFR achieves a monumental cost reduction, and it probably will achieve a pretty solid cost reduction.